Figuring out what makes for good design is an admittedly subjective exercise: Ask a dozen experts their thoughts on, say, why faux Mid-Century Modern is still popular in American interior design long after “Mad Men” has left us, and you’ll likely get a dozen different opinions. Nevertheless, some home design trends manage to rise to mass acceptance. Thanks to unstoppable forces like HGTV and Pinterest—which might be single-handedly responsible for the misguided installation of thousands of sliding barn doors over the past few years—these trends tend to take on a life of their own. And sometimes they just won’t die, even when they absolutely should. Which are the worst offenders that need to go in 2018? We’ve chatted with experts from coast to coast to get their consensus on the top interior design trends we won’t miss in the new year. 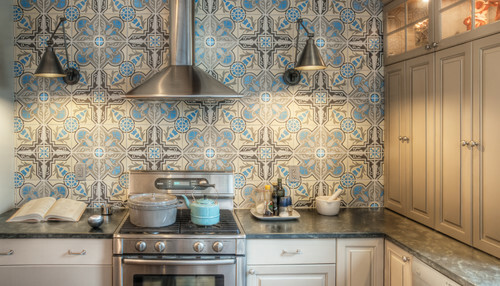 From backsplashes to mudroom floors to laundry room doldrums, the almighty cement tile reigned supreme this year. It was the darling of many a Pinterest board and crowed about in virtually every major design magazine. But in 2018, you should wave goodbye, says Karen Wolf, principal designer at Karen B. Wolf Interiors in New Jersey. If you can’t say no to this trend, at least choose a well-crafted design in an appropriate pattern and color that you think you’ll like for years to come. Ah, 2017—the year of the pineapple, the flamingo, and the philodendron leaf. We’ll be the first to admit that we loved this whimsical and exotic trend that made us feel like we were permanently on vacation. But it burned out fast. Cactus decor had a moment this year. 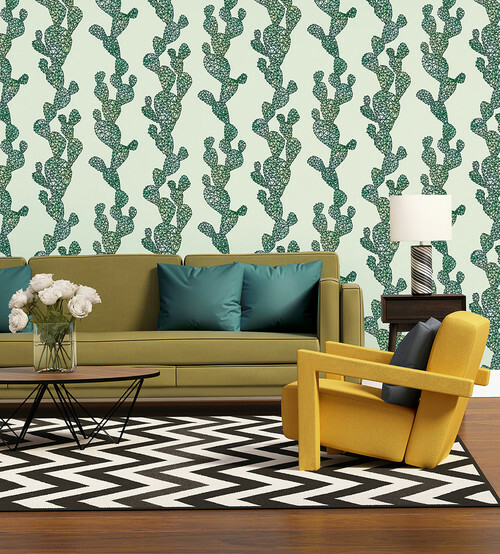 The spiky succulents were growing like weeds in the corners of our living rooms, in our artwork, and on our wallpaper. But now these prints “have become absolutely overdone,” Baltorinic says. So leave the prickly plants where they belong: in your yard. 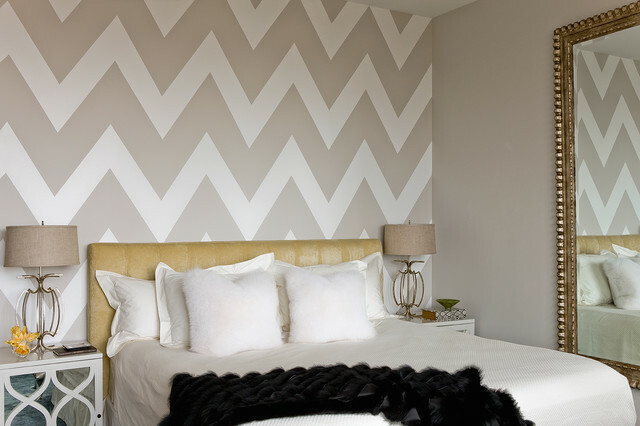 The basic chevron—a simple zigzag pattern that incorporates two colors—has been inescapable for the past few seasons, much to designers’ chagrin. It seemed we couldn’t turn around in 2017 without bumping into some version of the pattern in everything from lampshades to backsplashes. But while it can be cute in kids’ rooms, “it looks cheap in adult living spaces,” Harmon says. 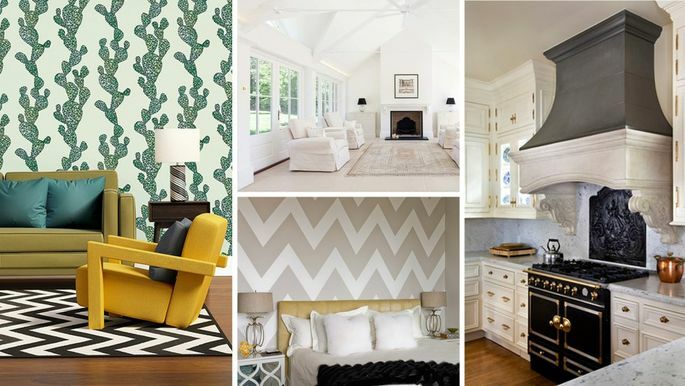 If you’re unwilling to let go of your chevron prints just yet, try incorporating more ornate versions of the pattern (herringbone is a nice alternative). Just don’t overdo it. 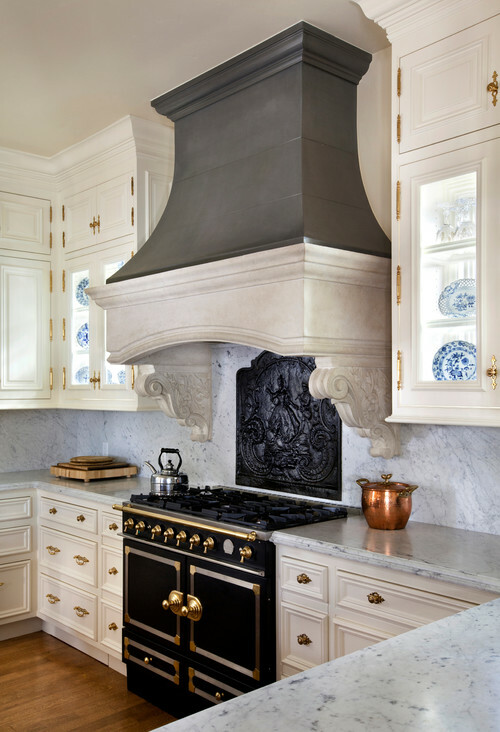 Photo by Linda L. Floyd, Inc.
Once the prominent design feature in open-concept kitchens, the overstated hood fan is now officially so yesterday, with designers predicting it’ll soon be seamlessly integrated into cabinetry. “Hood fans were never aesthetically pleasing in the first place, just utilitarian,” says designer Ana Cummings. But thanks to HGTV, buyers went crazy for them as a design concept and they became visual centerpieces of the modern kitchen. No more! 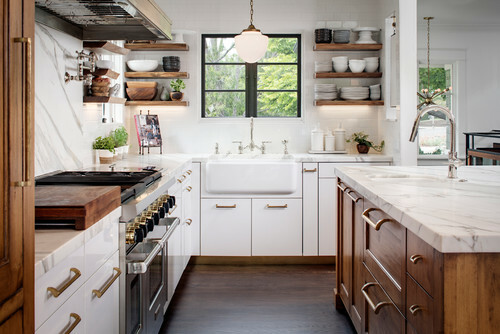 In 2018, Cummings predicts a return to sleek, streamlined kitchen design. Let’s bring this one behind the barn and shoot it, shall we? Call it the Chip and Joanna Gaines effect: Over the past four years, everyone this side of Waco, TX, wanted a farmhouse sink and shiplap walls. But in the new year—and with “Fixer Upper” coming to an end—the farmhouse chic style is starting to finally feel “a little too contrived,” says Oregon-based designer Arlene Lord. The idea of farmhouse decor was OK in concept, designers say, but the execution went awry. Look, guys, we know that crisp white bedding seems like a beautiful idea. But we live in the real world—one where kids, pets, and the errant wine glass pose quite the threat to your nice new stuff. 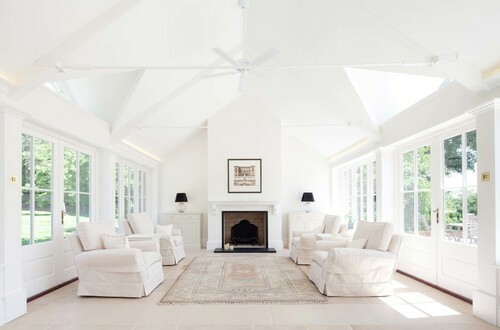 So although the all-white look has dominated design trends for the past few years, times are changing. The love for Tuscan style goes deep: This trend started surfacing en masse in 2005 or 2006, designers say, and has hung on longer than expected. 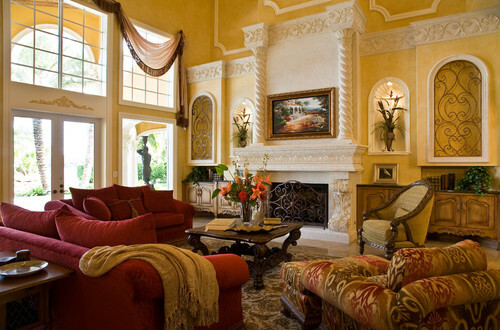 With this decor theme, you get a lot of deep reds and golds, oil-rubbed bronze, travertine tile, and oversized furniture, giving an overall heavy, ornate look that pro designers say is dated. 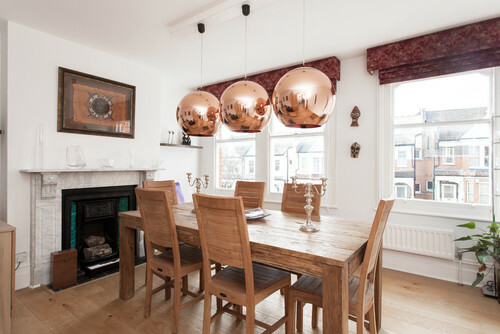 Designers agree that the ubiquitous rose gold has saturated the market. It’s everywhere, from your iPhone to your living room, and as a result, “it no longer feels special,” Harmon says. This is a tough one to call. The pros are highly conflicted on whether the open floor plan will persist in 2018. Some designers say consumers will continue to crave open space to facilitate family and social gathering and entertaining. But for New Jersey interior designer Mark Polo, it’s a thing of the past. I use my bedroom for multiple functions. It can serve as a library, office or lounge, but, I mostly make sure that it provides a suitable sanctuary for rest throughout the night. So, as I decorate my room, I ensure that it remains a luxurious space to give me the comfort I need. There are many design options today, and you may find it hard to choose the most attractive ones. Fortunately, I’ve come up with a simple guide to help you out once you finally decide to change the appearance of your bedroom. All these types come with manufacturers who guarantee better sleep and additional comfort. So, once you go mattress shopping, remember first to do thorough research. I discovered that this gives you a good head start before you even visit a physical or online store. Most importantly, decide on the size that you need. 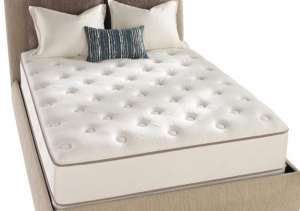 Most of us do not get enough sleep because the mattresses that we sleep on are either too thin or too small. Decorate your room by using calm and soothing colours to cover your mattress. 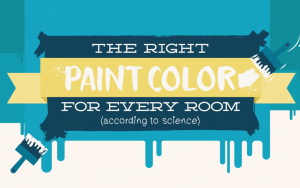 These colors are both attractive and restful to make sure that you sleep immediately you enter into bed. You can also use bright colors to add glamour to your bedroom. However, I would advise you to use them in bedroom artwork. If you have a child, it’s better to use beddings of cartoon or superhero characters. The ‘Avengers’ bedcovers might be a good place for you to start. But it’s better to allow your kid to pick out his or her favorite cartoon designs. In the end, he or she will always go to sleep feeling happy, relaxed and even safe. I love my bedroom because it’s somewhere where I can go to rest and wake up feeling rejuvenated in the morning. 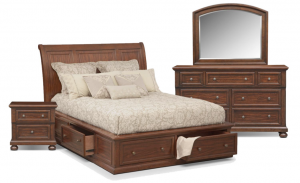 First, I’ve chosen the best bedroom furniture to suit my budget and style. Now, it’s an oasis that offers relaxation, and at times, it’s even hard to leave the room! Filling your dressing table with flowers and amazing stickers! It’s essential to look for the best furniture options for your toddler or teenager. 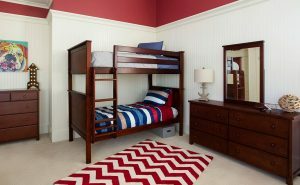 I found that most kids love sleeping in fun and colorful beds, especially those that match their preferred styles. Here, you could choose to use a bedside table shaped like a love heart or star-ship looking bed! 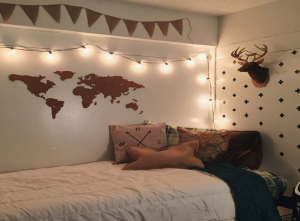 Do not struggle when it comes to decorating your room. As you can see, the process is pretty straightforward. Of course, in many cases, we try to use fancy accessories to boost the room’s appearance, but a bedroom is really not a place to showcase your sophistication or exquisite taste. This can be costly and may not even give you what you need. Keep it simple and just make the room somewhere pleasant to be in, where you can rest with ease and sleep soundly!